The Quezon Provincial Police seized four kilos of cocaine from a fisherman in Infanta, Quezon on Friday morning. The suspect was identified as 48-year-old Aldrin Taharan. Based on initial investigation, Taharan was looking for foreign buyers to sell the cocaine in retail. 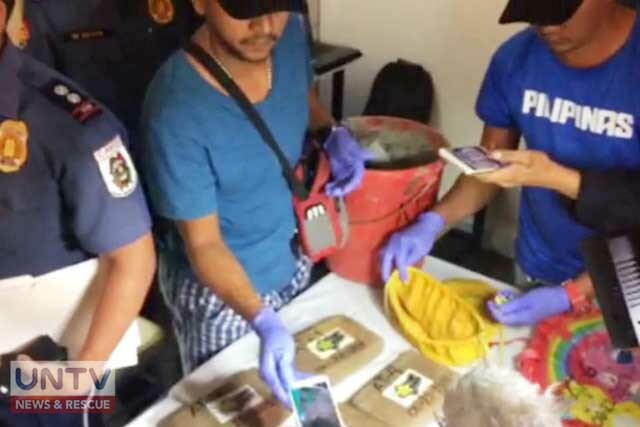 Authorities estimated the value of the cocaine to be over P21 million. 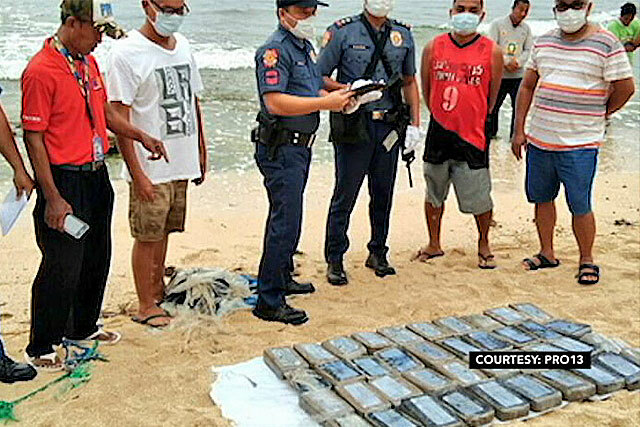 In April, Quezon fishermen intercepted 28 bricks of cocaine in the waters of Camarines Norte. They also surrendered a container of liquid cocaine to authorities. The Surigao del Norte Provincial Police Office recovered 40 blocks of suspected cocaine on the shores of Burgos, Surigao del Norte on Sunday (April 7). Authorities said these blocks were wrapped in fishing nets when they were found by two fishermen floating off shore. After recovering the blocks, the police inspected them and found that they have similar markings with the illegal drugs found in Barangay Pacifico, San Isidro, and the illegal drugs also found in Surigao del Norte on February 17. 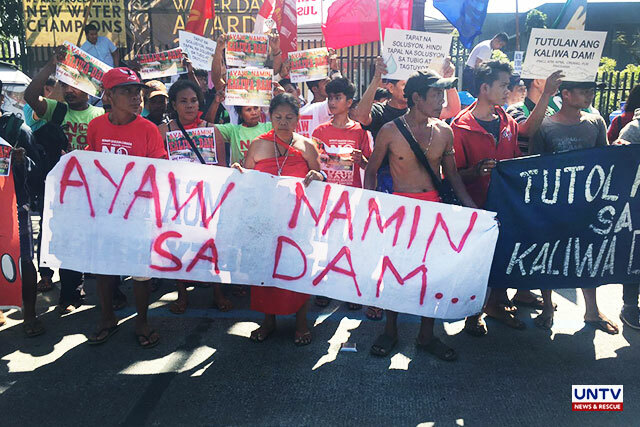 QUEZON CITY, Philippines – Indigenous people’s (IP) group in Infanta, Quezon province and in Tanay, Rizal traveled to the city to air their grievances against the construction of the controversial Kaliwa Dam project. The Kaliwa Dam project is being eyed as solution to the recurring problems in water supply in Metro Manila that has been triggered by the persistent El Niño. Carrying empty pails and water gallons, the Dumagats, led by Marcelino Tena, call on the government to stop the project as it would affect thousands of lives and would destroy the serenity of the Sierra Madre mountain range. The group argued that aside from losing their livelihood, the project would pose great danger to the environment as it would increase the risk of flooding and landslide in addition to the damaging effects of global warming. The indigenous group also denounced the idea that the project is the only solution to the recurring water crisis because the water level in Angat Dam, the main source of water in Metro Manila, remains normal. But the MWSS maintained that experts already proved the efficiency and safety of the dam’s construction therefore, the IPs in the area have nothing to worry about. Kaliwa Dam is a 73-meter water project to be erected in the mountains if Infanta, Quezon. From Infanta, Quezon, a tunnel will be constructed towards Teresa town in Rizal where a water treatment facility will be erected. The dam is expected to augment water supply in Metro Manila. 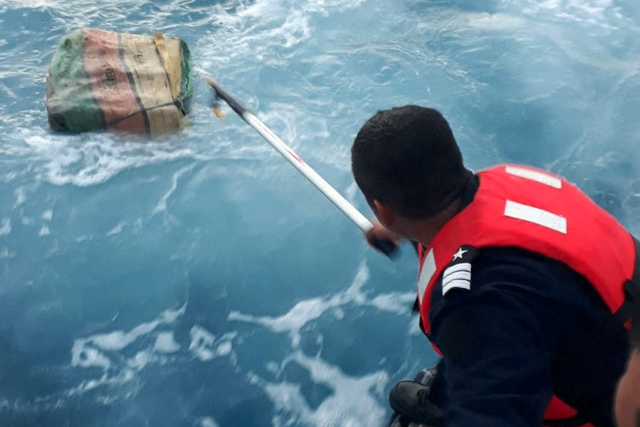 Mexico’s navy chased down a boat off the coast of its southern state of Chiapas that was transporting over 700 kilos (1,500 pounds) of cocaine and other drug substances, in a dramatic bust. The seizure of drugs was part of an operation to patrol this coastal area of Mexico that connects through to Central American nations. Crew on the boat were arrested and officials are investigating the origins of the drug haul, which included not only cocaine but other drug-making substances. Officials have retrieved drugs that had been thrown out to sea, indicating that the crew had sought to unload as authorities closed in.